Professor Luke Clancy (Consultant Respiratory Physician) is a founder and current director general of the TFRI. He has held posts as Medical Director of Peamount Chest Hospital and Associate Professor Respiratory Medicine at Trinity College Dublin. The diagnosis and treatment of lung cancer and the health effects of air pollution (outdoor and smoking) feature in his research work and he has made major research contributions in the areas of Tuberculosis, Asthma, Lung Cancer and Smoking Related Diseases. He was a key player in the Dublin Coal Ban in the 1980s, the Work Place Smoking Ban in 2004, and in the on-going quest for Tobacco Free Ireland. He has over 100 publications in peer review journals and is a regular contributor to various international medical journals. He continues his advocacy role for better health. Sheila Keogan is a clinical nurse manager with specialist training in the delivery of smoking cessation services and has 25 years experience of involvement and management of clinical trials. She also has a wealth of experience as an asthma nurse specialist. Her MPhil was awarded on an extensive piece of research evaluating smoking cessation services in Ireland and included the design and pilot of a smoking cessation database. She has worked with TFRI since 2003 and has played a pivotal role in grant applications, project management and development, finance reporting, generating research reports and dissemination of results. Dr. Zubair Kabir graduated in Medicine (MBBS) in 1990 from India and later obtained an MD in Public Health Medicine in 1996. Before completing both Masters (MSc) and PhD in Trinity College Dublin, he had worked as a Senior Resident in All India Institute of Medical Sciences (AIIMS) and as a primary care physician in Odisha (India). His post-doc positions (2004-2012) in Trinity, TobaccoFree Research Institute Ireland, and Harvard School of Public Health were primarily focussed on non-communicable disease epidemiology and in particular, tobacco control. He was a NCI-HRB joint cancer research fellow at the Harvard School of Public Health (2006-2008) and he also has a joint affiliation as a Visiting Scientist with the Centre for Global Tobacco Control, Harvard School of Public Health since 2008. He is on the editorial board of the BMC Public Health, International Journal of Environmental Research & Public Health (IJERPH), and Editor-in-Chief of an Open Access specialist journal-Tobacco Use Insights. He was Principal Investigator on several HRB-funded research grants between 2006 and 2012 , and a co- Principal Investigator on research grants from the FAMRI (US), the Irish Heart Foundation, and the Royal City of Dublin Hospital Trust from 2000 onwards. 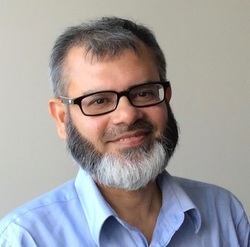 He is a Fellow of the Royal Society for Public Health (FRSPH), United Kingdom, a member of the American College of Epidemiology (MACE) a Fellow of the Royal Academy of Medicine in Ireland (RAMI), and a Fellow of the Royal Society of Tropical Medicine & Hygiene (RSTMH). He also sits on the Membership Board of the Committee on Publication Ethics (COPE). 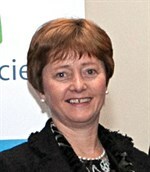 ​Aisling McGowan joined the department of Physics in DIT in 2013 after 24 yrs working in healthcare. She is a half time Clinical tutor and lecturer on the clinical measurement science undergraduate programme and Chief Respiratory Physiologist at Connolly Hospital in The Respiratory & Sleep Diagnostics Department, Blanchardstown. She has a MSc in Physical Sciences in Medicine and BSc in Experimental Physics. She has worked as a Clinical Scientist in healthcare for 26 yrs, including 8 years as a division manager of a medical device supplier. She is currently a committee member of the European Respiratory Society Spirometry Training Committee and the education committee and executive of the Irish Institute of Clinical Measurement Science Respiratory Faculty. She has been actively involved in clinical research throughout her career.